Medical Park Stadium in Trabzon will play hosts to this League B, Group 2 opening match between Turkey and Russia. The two nations only met four times before with Turkey still to beat Russia. Russian players will still be on a high after a good showing at home in the World Cup where they almost made it to the semi-finals. They will try to carry that momentum into this important qualifier against Turkey. The Turks didn’t manage to qualify for the World Cup but they haven’t lost a game in their last five matches, drawing the last two. In fact, the last match they played was a friendly against Russia in June, where the end result was 1:1. Apart from these two teams, Sweden will also be fighting with them for the top spot in Group 2 and a chance to move up to League A. In an important game like this, nerves will play a part making this a probable draw. Arda Turan is one of the most famous footballers in the history of Turkish football and he is widely tipped to break Rusti Recber’s record of 120 caps for Milli Takim. The attacking midfielder came to prominence at Galatasaray, while also impressing as Turkey reached the Euro 2008 semi-finals, and he immediately received offers from top European clubs to cash in on his impressive showings. However, it would take another three years before he finally decided to accept the call from Atletico Madrid, thus becoming the most expensive Turkish footballer. 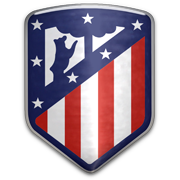 Turan played a key role for Diego Simeone’s side that impressed in both Spain and Europe from 2011 onwards, lifting the league trophy with los Colchoneros and narrowly missing out on the Champions League title. Achieving a superstar status in his country, Turan always performed well for the Turkey national team, making more than 90 appearances for Milli Takim before the age of 30, and scoring more than 15 goals. While they won the 1960 European Championship, while losing in the final in 1964, 1972 and 1988 as Soviet Union, Russia have enjoyed little success since starting to compete as an independent country in 1992. Their best result up to date is the third-placed finish at the Euro 2008 in Austria and Switzerland, while the team failed to get past the group stage at the World Cup finals in three attempts. However, with Russian Premier League getting stronger by the day, the national team have started to improve as well, and they now finally seem capable of matching the world’s top sides. The new generation includes high-quality footballers such as Alan Dzagoev, Aleksandr Kokorin, Artyom Dzyuba and Oleg Shatov, while the likes of Igor Akinfeev, Sergei Ignashevich, Roman Shirokov and Yuri Zhirkov are nearing the closing stages of their careers. But, with plenty of exciting talent coming through the ranks, future definitely looks bright for the Russia national team.